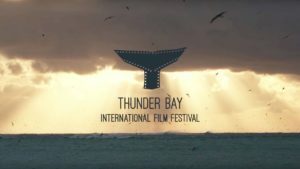 This week brings us the 7th Annual Thunder Bay International Film Festival to Alpena, with over 50 Oceanic and Great Lakes films created by filmmakers from all over the world! Beginning January 23rd, through January 27th. One special film that is near and dear to the heart of Alpena is called “Michigan Micro Adventures“, by filmmaker Zach Irving, a talented Alpena native. This film features a father and son team, Gary and Ely Irving, as they take you on a guided tour snorkeling the Portland shipwreck, a two-masted schooner that sank in Bell Bay on October 13, 1877. Gary and Ely offer an inside look on the history and adventure you can make at this Michigan hot spot. The team also tours the pathway and ruins of the old town of Bell just off the shore of Lake Huron. 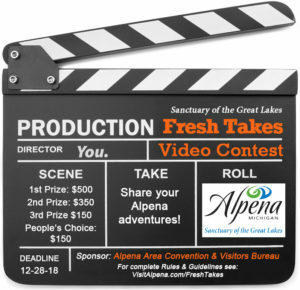 The entries for Alpena’s Fresh Takes 2019 Video Contest are in and our panel of judges are determining a First, Second, and Third place winner! We will be unveiling each video at this special event where you and your friends and family can see the hard work and passion each videographer put in to showcase our beautiful Sanctuary of the Great Lakes! This year we have also continued on with the People’s Choice Award, you can vote for your favorite video by checking out each video posted on our Facebook page and sharing your favorite one. So, here’s how you can get in on the action! Where: Bob’s Bullpen theater room, 125 N. 2nd Ave.
Free to the public. Stop by to watch the video entries as we announce the winners. Popcorn will be served and The Bulldog will be open if you would like to purchase any additional refreshments. Entry submission for 2020 will officially open soon, so get ready! Mark your calendars! 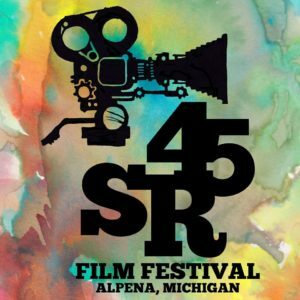 August 16th through August 18th Alpena will be hosting yet another film festival, the 3rd Annual Sunrise 45. Northeast Michigan’s premiere festival of independent film, music, and art. Details are still emerging so stay tuned to Sunrise 45’s website as well as visitalpena.com for more updates as we head into 2019! 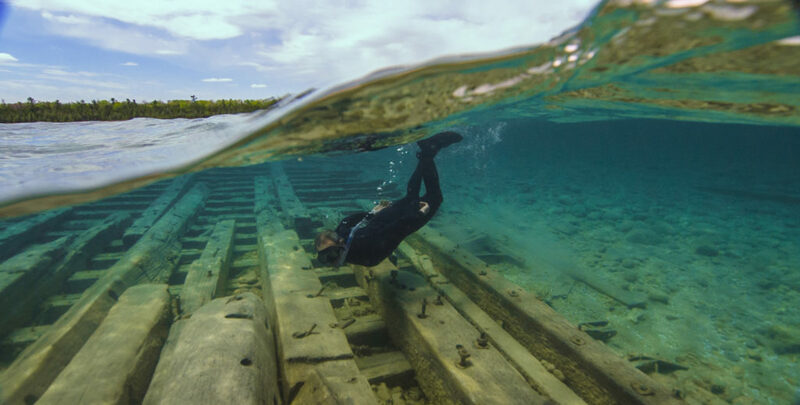 *Featured Photo at top: Russ Green snorkels the Albany shipwreck found in 4-5 feet of water, just north of Alpena. Photo courtesy David Ruck, office of National Marine Sanctuaries.